Hanif Abdurraqib views the legacy of a classic and respected rap group through a distinctly personal lens in Go Ahead in the Rain: Notes to A Tribe Called Quest. As the subtitle might imply, Abdurraqib’s book doesn’t attempt an arm’s length, scholarly approach to analyzing the group and its music; instead, Abdurraqib speaks from his own experiences, often in the form of questioning or appreciative open letters to members of the band. It’s a bold conceit, but if the book loses a bit of reserved objectivity in the process, it gains much more: an emotional grounding for why the group was so important to the author, and, by extension, why their music should matter to readers, too. Abdurraqib has written extensively about music, in the form of poems and essays; here, he begins with an exploration of music’s history, from slaves, to jazz, to A Tribe Called Quest, his own prose often falling into a kind of flow and rhythm that recalls his subject. Despite, or perhaps because of, Abdurraqib’s weaving of personal episodes into the book, he paints a vivid picture of the environment into which A Tribe Called Quest emerged, tracing the impact of various rap albums during the late 1980s and 1990s. The story of A Tribe Called Quest makes for great drama, even without Abdurraqib’s original insights. Q-Tip, the face and driving force of the group, often butted heads with Phife, its funny and charismatic MC, resulting in A Tribe Called Quest’s eventual breakup. Occasional concerts and a documentary film marked a sporadic and hazardous route to a final, acclaimed reunion album in 2016. 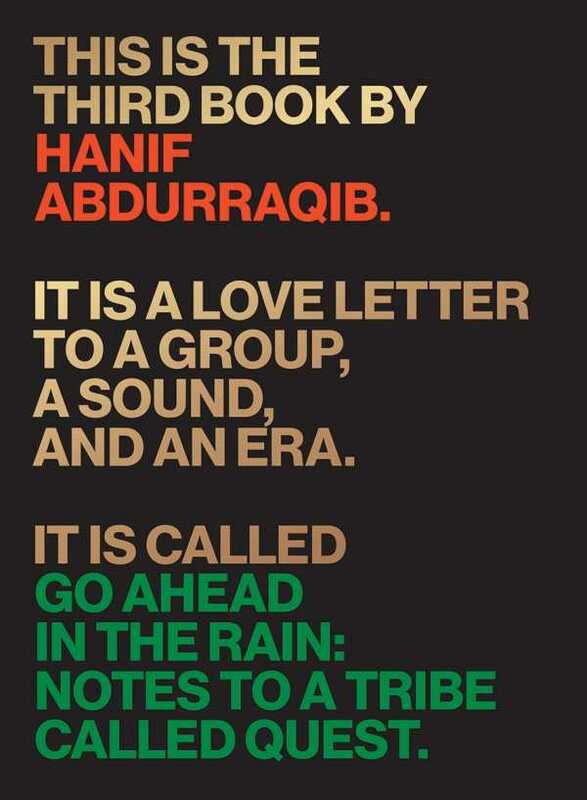 There’s little doubt that rap fans will love Go Ahead in the Rain, but even those not familiar with the genre or the group may find themselves entranced by Abdurraqib’s book.